TAIPEI (Taiwan News) – On Nov. 22, the 2018 Global Corporate Sustainability and Forum (GSCF) and Awards ceremony was held at Taipei's Grand Hotel, with opening addresses from Vice President Chen Chien-jen (陳建仁), and Chairman of the Alliance for Sustainable Development Goals, Eugene Chien (簡又新). The GSCF is an annual forum where businesses and industry leaders are recognized for their contributions to achieving global sustainable development goals (SDGs) as outlined by the UN and the 2015 Paris Climate Accord. Chairman Eugene Chien, former Minister of Foreign Affairs and Ambassador-at-Large, opened the forum on Thursday morning by welcoming distinguished guests and emphasizing the goals of the Alliance for Sustainable Development to ensure a sustainable future for planet earth. 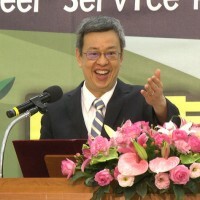 Chien emphasized that the challenges facing the world cannot be solved by a single institution of business, but is one that requires cooperation and collective action. 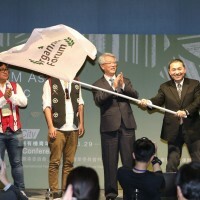 Taiwan's Vice-President Chen then addressed the forum before awarding this year's Global Corporate Sustainability Awards (GCSA) to the winners. 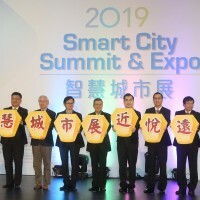 Chen remarked that, as corporations improve their commitment to CSR reporting and sustainability, this will also contribute to strategic thinking and innovative approaches to business, which will ultimately benefit human society and the environment. Chen also emphasized that Taiwan and Taiwan's industries remain committed to international goals of safeguarding the environment, and moving towards a sustainable future. He expressed his hope that the international community would recognize the determination of Taiwan in this regard. The winners of this year's (GCSA) went to the Chief Sustainability Officer of Hewlett Packard Enterprises (HPE), Christopher Wellise, and the Chairman and CEO of AU Optronics, Paul Peng (彭双浪), for their contributions to driving sustainable businesses practices in the technology industry. Wellise's award was received by the Director of HPE, Harry Doherty. However, Wellise addressed the forum by a video message from the U.S. He expressed his gratitude for the award and said that he looked forward partnering with leaders across industries towards achieving the international sustainability agenda for the 21st century. Rewards for GCSA-Reporting were awarded to Siemens, HPE, Far Eastern New Century, and Sinyi Realty Inc. 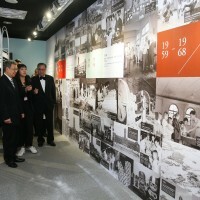 Following the Global awards, winners of the Taiwan Corporate Sustainability Awards were recognized. The winners can be viewed below.